It is seen in the world of entertainment that women with good looks are given a huge deal of adulation, and the sports industry is no different. The sport of tennis is particularly a very glamorous one, with the tennis players being placed on a high pedestal. The women in the world of tennis give up no opportunity to look their best. Be it on the court or off it. While they are playing, they always appear in the best of sportswear manufactured and designed by the leading brands or fashion designers, or sometimes they even contribute to the unique designs they chose to don, matched with the best shoes. Off the court, these women attend television shows, events, photo-shoots, etc. always dolled up in the best hairdo and style. They are roped in for endorsements, magazine covers, etc. which eventually turn out to be hot and sensuous. Generally, tennis players, due to their fitness regime, acquire well-toned shape of the body. If they are pretty, it becomes an added advantage. So, let us take a look at the Top 10 Hottest Female Tennis Players 2015. Eugenie Bouchard currently participates in the ITF and WTA tours and also represents her Canada national team. She currently resides at Westmount, Quebec, Canada and was born in Montreal, Quebec, Canada on February 25, 1994. Eugenie Bouchard is currently her 20 years of age with a 1.78 meter listed height and turned to a professional in 2009. She is mainly a right-handed tennis player but can perform two-handed backhand. She won total career earnings of $3,726,035 till now in her career and won 1 WTA and 6 ITF career titles. She achieved 169 wins and faced 94 losses in her active international tennis career since she became a professional. Eugenie Bouchard is the current world No. 7 according to WTA ranking as of October 27, 2014. She also reached her highest WTA career ranking of World No. 5 on October 20, 2014. 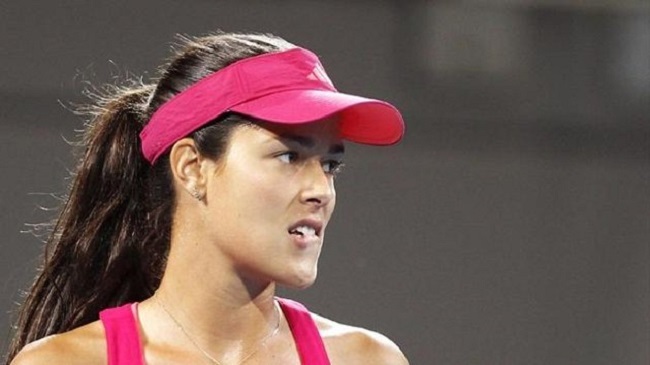 Ana Ivanovic currently participates in the ITF and WTA tours and also represents her Serbia national team. She currently resides at Basel, Switzerland and was born in Belgrade, SFR Yugoslavia on 6 November 1987. Ana Ivanovic is currently 27 years of age with a 1.84 meter listed height and turned to a professional in 2003. She is mainly a right-handed tennis player but can perform two-handed backhand. She won total career earnings of $13,095,256 till now in her career and won 15 WTA and 5 ITF career titles. She achieved 437 wins and faced 190 losses in her active international tennis career since she became a professional. Ana Ivanovic is the current world No. 5 according to WTA ranking as of October 27, 2014. She also reached her highest WTA career ranking of World No. 1 on 9 June 2008. Maria Sharapova currently participates in the ITF and WTA tours and also represents her Russian national team. She currently resides at the United States and was born in Nyagan, Russian SFSR, Soviet Union on April 19, 1987. Maria Sharapova is now 27 years of age with 1.88 meter listed height and turned to a professional in 2001. She is mainly a right-handed tennis player but can perform two-handed backhand. She won total career earnings of $32,535,202 till now in her career and won 33 WTA and 4 ITF career titles. She achieved 557 wins and faced 133 losses in her active international tennis career since she became a professional. Maria Sharapova is the current world No. 2 according to WTA ranking as of November 10, 2014. She also reached her highest WTA career ranking of World No. 1 on August 22, 2005. Mandy Minella currently participates in the ITF and WTA tours and also represents her Luxembourg national team. She currently resides at Luxembourg and was born in Esch-sur-Alzette, Luxembourg on 22 November 1985. Mandy Minella is currently at her 28 years of age with a 1.80 meter listed height and turned to a professional in 2001. She is mainly a right-handed tennis player but can perform two-handed backhand. She won total career earnings of $939,370 till now in her career and won no WTA but 9 ITF career titles. She achieved 324 wins and faced 271 losses in her active international tennis career since she became a professional. Mandy Minella is the current world No. 148 according to WTA ranking as of 20 October 2014. She also reached her highest WTA career ranking of world No. 66 on 17 September 2012. Caroline Wozniacki currently participates in the ITF and WTA tours and also represents her Denmark national team. She currently resides at Monte Carlo, Monaco and was born in Odense, Denmark on 11 July 1990. Caroline Wozniacki is currently at her 24 years of age with a 1.77 meter listed height and turned to a professional in 2005. She is mainly a right-handed tennis player but can perform two-handed backhand. She won total career earnings of $19,322,865 till now in her career and won 22 WTA and 4 ITF career titles. She achieved 436 wins and faced 169 losses in her active international tennis career since she became a professional. Caroline Wozniacki is the current world No. 8 according to WTA ranking as of October 27, 2014. She also reached her highest WTA career ranking of World No. 1 on 11 October 2010. Sania Mirza currently participates in the ITF and WTA tours and also represents her India national team. She currently resides at Sialkot, Pakistan, and was born in Mumbai, Maharashtra, India on 15 November 1986. Sania Mirza is currently at her 28 years of age with a 1.73 meter listed height and turned to a professional in 2003. She is mainly a right-handed tennis player but can perform two-handed backhand. She won total career earnings of $3,626,294 till now in her career and won 1 WTA and 14 ITF career titles. She achieved 271 wins and faced 161 losses in her active international tennis career since she became a professional. Sania Mirza is the current world No. 6 in doubles according to WTA ranking as of October 27, 2014. She also reached her highest WTA career ranking of World No. 27 on 27 August 2007. Sorana Cirstea currently participates in the ITF and WTA tours and also represents her Romanian national team. She currently resides at Târgovişte, Romania, and was born in Bucharest, Romania on 7 April 1990. Sorana Cirstea is currently at her 24 years of age with a 1.76 meter listed height and turned to a professional in 2006. She is mainly a right-handed tennis player but can perform two-handed backhand. She won total career earnings of $2,878,270 till now in her career and won 1 WTA and 7 ITF career titles. She achieved 308 wins and faced 209 losses in her active international tennis career since she became a professional. Sorana Cirstea is the current world No. 93 according to WTA ranking as of October 13, 2014. She also reached her highest WTA career ranking of World No. 21 on 12 August 2013. Amandine Hesse currently participates in the ITF and WTA tours and also represents her France national team. She currently resides in France and was born in Montauban, France on 7 April 1990. Amandine Hesse is currently at her 21 years of age with a 1.64 meter listed height and turned to a professional in 2012. She is mainly a right-handed tennis player but can perform two-handed backhand. She won total career earnings of $169,319 till now in her career and won no WTA but 3 ITF career titles. She achieved 156 wins and faced 141 losses in her active international tennis career since she became a professional. Amandine Hesse is the current world No. 200 according to WTA ranking as of 10 November 2014. She also reached her highest WTA career ranking of world No. 183 on 8 September 2014. Maria Kirilenko currently participates in the ITF and WTA tours and also represents her Russian national team. She currently resides in Moscow, Russia, and was born in Moscow, Russian SFSR, Soviet Union on 25 January 1987. Maria Kirilenko is currently at her 27 years of age with a 1.74 meter listed height and turned to a professional in 2001. She is mainly a right-handed tennis player but can perform two-handed backhand. She won total career earnings of $6,809,494 till now in her career and won 6 WTA and 3 ITF career titles. She achieved 361 wins and faced 255 losses in her active international tennis career since she became a professional. Maria Kirilenko is the current world No. 155 according to WTA ranking as of 15 September 2014. She also reached her highest WTA career ranking of world No. 10 on 10 June 2013. Klara Koukalova currently participates in the ITF and WTA tours and also represents her Czech Republic national team. She currently resides at Prague, Czech Republic and was born in Prague, Czechoslovakia on 24 February 1982. 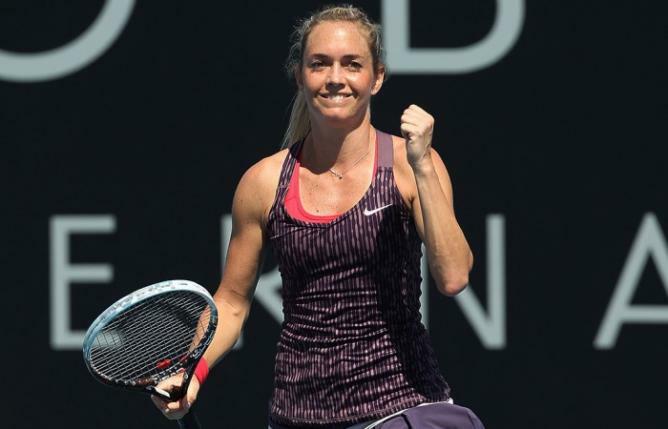 Klara Koukalova is currently at her 32 years of age with a 1.66 meter listed height and turned to a professional in 1999. She is mainly a right-handed tennis player but can perform two-handed backhand. She won total career earnings of $3,674,547 till now in her career and won 3 WTA and 7 ITF career titles. She achieved 475 wins and faced 392 losses in her active international tennis career since she became a professional. Klara Koukalova is the current world No. 40 according to WTA ranking as of November 10, 2014. She also reached her highest WTA career ranking of World No. 20 on 15 April 2013. It is often seen that the tennis players are placed upon a high pedestal if they are beautiful and stylish. Often, some people like to call certain tennis players their favourites, judging them solely on the basis of their looks. Many average-looking tennis players have to take the fall, even if they have better skill-sets to offer. While good looks work just fine off the court, it is to be remembered that a player being given credit for her looks will eventually harm the game, as truly talented players will always be nervous about being judged and objectified, and players will concentrate more on the glamour factor, and the focus will shift from the real game.